While many adults believe that children live a life of ease, this is certainly not necessarily always true. Your child and mental health is a dynamic world unto it’s own. 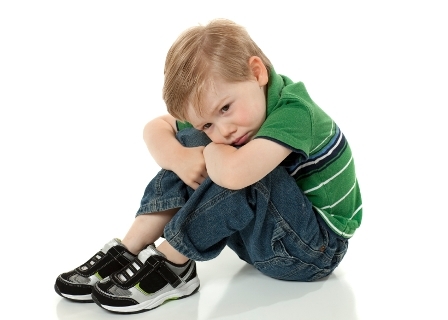 Children are not without their own emotional, mental, and physical troubles. Just as with older humans, children are capable of feeling all types of feelings. These include feelings of sadness, hurt, mistrust, anxiety, and anger. In addition, the way that children deal with these feelings can have a huge effect on their emotional health. Children and mental health often reflects greatly on the parental mental health that a child has when he or she become a parent themselves. Kids that grow up in a positive environment are much more likely to be positive adults than those that experience negative emotional mental health during their childhood. Infant and child mental health establishes a foundation of self-esteem for life. Children as young as infants are aware of trust and mistrust in others and in self. After a child is only a few months old, their emotional health begins to develop. It is important during infancy that a baby learns he or she can trust the caregiver. The baby needs to know that his or her needs are taken care of when a diaper should be changed or a feeding needs to take place. Infants that go long periods of time without the attention of the caregiver are much more likely not to trust. Once the infant passes through the stage of placing trust in others, a toddler encounters a stage of emotional mental health called autonomy vs. shame and doubt. During this period, the child needs to feel that he or she is capable of independence. While an infant needed others, toddlers are looking for space to obtain good mental health. When a toddler is not given the opportunity to find independence, he or she often grows up having a lacking self-esteem, feeling ashamed as well as a whole assortment of other mental health issues. Much independence during this stage of life is found through potty training with the toddler taking care of his or her own bathroom needs. Your child and mental health goes hand in hand with the circumstance of the family environment while growing up. Initiative verse guilt follows the toddler stage when a child reaches preschool and kindergarten. During this stage, the child emotionally needs to explore others and the world around him or her and begins to become interested in belonging to a group and role-playing within that group. During this stage of life, a person develops much of their background for social interaction. Children who are allowed to explore and interact with others are much more likely to carry over positive social skills into adulthood than those that are secluded from group activities. These others can end up on the opposite side of the spectrum in regards to their social and mental health becoming withdrawn from others. It is quite apparent that child and adult mental health become synonymous throughout life. Part of creating a solid foundation in children to carry over into adulthood is allowing children the opportunity to learn how to make choices. Children need to experience the effects that their choices have on their lives. Instead of continually giving a child direction, it is better to give a child options. When allowed to take some actions into their own hands helps create an emotional mental health framework for the future, Setting boundaries and preparing children for disappointments help children prepare for good mental health and avoidance of mental health issues as an adult. In some cases, children can make choices for themselves. However, children also need to learn that not everything will always be controlled by them. They need to learn to accept the things that they cannot control. A child that learns to cope with disappointment through a caregiver that sets boundaries will grow into an adult with a foundation of more positive emotional mental health than those children that never experience hearing the word “no”. All of this is very critical for child and adolescent development. While all research indicates that the environment in which a child grows greatly affects his or her emotional mental health, not all parents that fail to properly foster their child’s stages of health are neglectful or bad parents. In fact, many parents struggle with the proper methods they should carry out to help their child grow into a prosperous adult. Interaction is a great way to help your child’s emotional mental health bloom. Children need to be cuddled and feel the touch of others. In addition, they need communication. Even as an infant, babies respond to parents and others through coos. Responding to these babbles is an important part of the infant and child mental health development process (both mentally and emotionally). As the child grows older, let him or her know what he or she has to say is important by listening and responding in conversation. In addition to talking, your child and mental health is dependent upon nonverbal responses also. Be certain to make eye contact with the child. Share gestures and facial expressions during daily routines such as dinner, story time, and bath time. Be certain that you have expectations for your child and that they are appropriate for the child’s age level. Placing too much pressure or high expectations on your child can be harmful to his or her emotional mental health. Do not place expectations on the child that he or she is not mature enough to handle. When your child reaches a charged emotional situation, try to help the child understand the feelings and work through the problem. Let your child know that it is okay to express emotions if they are expressed in a proper manner. Raising or working with a child can be a large responsibility when it is realized that the things the child experiences now affects how he or she will respond to the world as an adult. The positive or negative environment that a kid encounters through childhood affects the ways that he or she handles situations independently when grown. Carefully considering the emotional health needs that help a child feel secure about him or herself and about the environment are important to his or her success in the future. Enter a world of adventure in Children’s and Baby Furniture at: Baby Furniture Cribs [http://www.sillybuster.com/index.php?cPath=23]. This article was written by the author as noted above, leave a comment about it below or complete a reflective log as a learning activity for your social work CPD.